Pembroke Pines is a city found in Broward County, Florida with a population of about 164,600 residents. It's actually the second largest city in Broward County and the 11th largest by population in Florida. The city is a part of the larger Miami Metro area, which includes about 5.6 million residents. Along with the residents found throughout the area, many visitors come to Miami every year for events, the beaches and the many attractions. Interstate 75 runs directly through Pembroke Pines. The Florida section of I-75 has been rated at the 15th most dangerous highway in the country. Broward County is served by Interstate 95, which has been rated as the most dangerous highway in the United States, for the Florida stretch of road. More than 186,000 vehicles use I-95 every single day. Broward County suffers from more than 26,000 traffic accidents on a yearly basis. Many of the accidents lead to injuries and about 200 fatal accidents happen every year throughout the county. Traffic crashes in Pembroke Pines and Broward County are on the rise. How bad do you think the stats would be if the roads were not monitored and tickets were not issued? A total of 195,453 traffic citations were issued throughout Broward County for 2015. Out of these tickets 95,891 were issued for speeding, 18,498 were given out for careless driving and 23,038 were given out for running a red light or stop sign. These are some of the most dangerous traffic infractions and often lead to accidents. Having your driver's license suspended means you have to find a ride whenever you want to go anywhere. Taking a cab can get expensive and asking friends for rides can get exhausting. Get 12 points in one year and you will lose your license for 30 days. Those receiving 18 points in 1.5 years lose their license for 90 days. If you get 24 points in 3 years, you will lose your license for an entire year. Traffic school offer a basic driver improvement course you can take to keep points off your license. This will not only help you avoid a suspension, but will also keep your insurance rates from going up. You will need to pay your ticket and let the clerk of the court know you plan to enroll on traffic school. Then, just enroll online and take the basic driver improvement course. You will be issued a certificate of completion, which you need to turn into the clerk of the court. 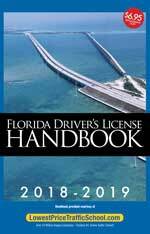 That's all you have to do to keep points off your Florida driver's license. 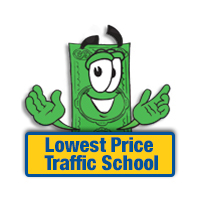 In order to be eligible for traffic school, you cannot have taken the class in the past 12 months or a total of 5 times in your lifetime. If you haven't taken the course in the past year or a total of 5 times already in your lifetime, you should be eligible. You can check with the clerk of the court if you're not sure of your eligibility status. Getting a ticket in Pembroke Pines means you will deal with the Broward County Clerk of the Court. The clerk of the court will take payments and provide any information you need. Get more info about the Broward County Clerk of the Court by visiting their website.